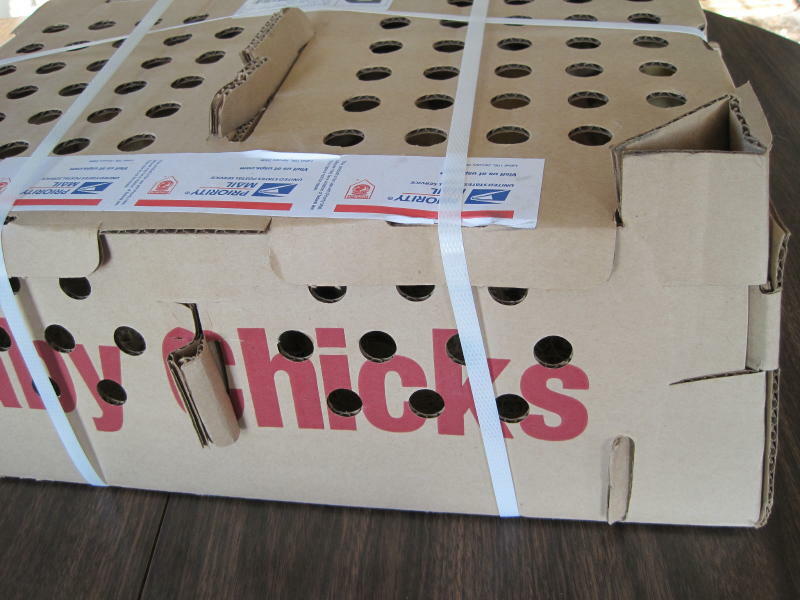 Received a fun package in the mail this morning; 100 peeping chicks. When the call comes from the local post office it's almost as if the chicks themselves are making the call. You can hear them so clearly on the other end of the line. We had their brooder pen all ready for their arrival, although it was so cold this morning I had to add another heat lamp to the two we had already set up for them. 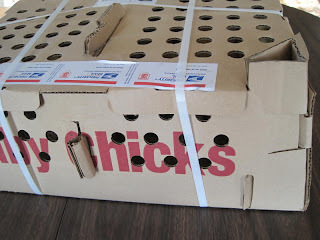 Then it was just a matter of taking the chicks out of the box one by one and dipping their beaks into the water so they would know just where to find it when they wanted more. Soon they were all scattered around the pen scratching at the bit of feed I had spread on the floor and making their way to the feeders. It always amazes me to watch such young animals already experts at being chickens, right down to scratching for their feed. Think I'll go out and check on them again. And see if our pasture water system survived the unexpected freeze.